On 3rd February 2017, researchers at badcyber.com released an article that detailed a series of attacks directed at Polish financial institutions. The article is brief, but states that "This is – by far – the most serious information security incident we have seen in Poland" followed by a claim that over 20 commercial banks had been confirmed as victims. This report provides an outline of the attacks based on what was shared in the article, and our own additional findings. Only one of the samples referenced by BadCyber is available in public malware repositories. At the moment we cannot verify that it originated from the watering-hole on the KNF website – but we have no reason to doubt this either. The file is packed with a commercial packer known as 'Enigma Protector'. Once unpacked it drops a known malware variant, which has been seen as part of the Lazarus group’s toolkit in other cases over the past year. Once the data is decrypted with two RC4 rounds, the dropper checks the decrypted data contains a valid 4-byte signature: 0xBC0F1DAD. The Default.html contains code to load MisaporPortalUI.xap – a Silverlight application which likely would contain the malicious first-stage implant. This is unfortunately not available for analysis currently. 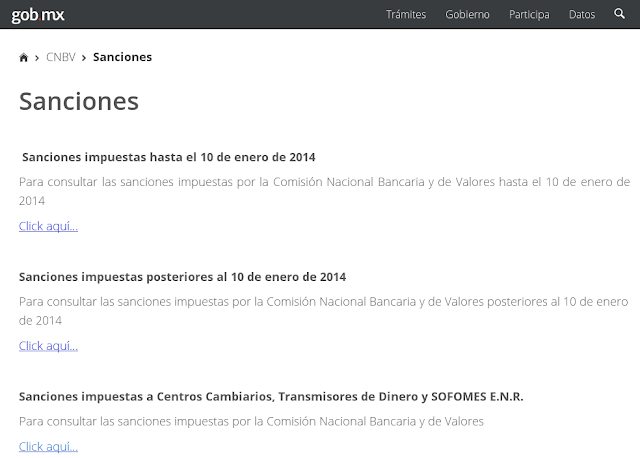 This is the page for the Comisión Nacional Bancaria y de Valores (National Banking and Stock Commission of Mexico), specifically the portion of their site that details sanctions made by the Mexican National Banking Commission. This organisation is the Mexican banking supervisor and the equivalent of Poland's KNF. At the time of writing the compromise is no longer present and no archived versions of the page exist to show where the compromise was located. A further instance of the malicious code appears to have been present on a bank website in Uruguay around 2016-10-26 when a PCAP of browsing to the website was uploaded to VirusTotal.com. Unfortunately, the response was empty and it is not possible to assess what may have been delivered. The last 4 samples can loosely be categorised as the same malware variant, however the first sample appears to be a separate exploit (as detailed later). It is worth noting that these samples were all compiled after the domain began being used alongside the knf.gov[. ]pl watering-hole. Additionally, the samples uploaded from Poland and Uruguay match with the watering-hole activity observed – suggesting this is all part of the same campaign. Despite this potential connection to the Poland bank compromises, the malware is not particularly advanced – for example using basic operations to gather system information. The malware attempts to run a series of commands with cmd.exe and then returns the result via the C&C, eye-watch[.]in. cmd.exe /c reg query "HKCU\SOFTWARE\Microsoft\Windows\CurrentVersion\Internet Settings"
cmd.exe /c netstat -ano | find "TCP"
'cambio' is Spanish for 'change'. The URL is similar to that noted in the BadCyber blog, and the use of an XAP file matches what can be found in the Archive.org cache for the sap.misapor[. ]ch site. XAP is a software package format used for Microsoft Silverlight applications. Together they form a re-packaged exploit for Silverlight based on CVE-2016-0034 (MS16-006) – a Silverlight Memory Corruption vulnerability. The exploit has previously been used by several exploit kits including RIG and Angler to deliver multiple crimeware tools. Once the payload stub is decoded, it represents itself as a PE-image, which is another .NET 4.0 assembly with the internal name binaryreader.dll. This second-stage DLL assembly, binaryreader.dll, is heavily obfuscated. The DLL (MD5 hash: 7b4a8be258ecb191c4c519d7c486ed8a) is identical to the one reported in a malware traffic analysis blog post from March 2016 where it was used to deliver Qbot. Thus it is likely the code comes from a criminal exploit kit which is being leveraged for delivery in this campaign. A similarly named cambio.swf (MD5 hash: 6dffcfa68433f886b2e88fd984b4995a) was uploaded to VirusTotal from a US IP address in December 2016. When examining the code on the exploit kit website a list of 255 IP address strings was found. The IPs only contained the first 3 octets, and would have been used to filter traffic such that only IPs on that subnet would be delivered the exploit and payload. The prominence of Polish and Mexican banks matches the observation of watering-hole code on sites in both countries. • There has been a series of watering hole attacks on bank supervisor websites in Poland & Mexico, and a state owned bank in Uruguay in recent months. These leverage Silverlight and Flash exploits to deliver malware. 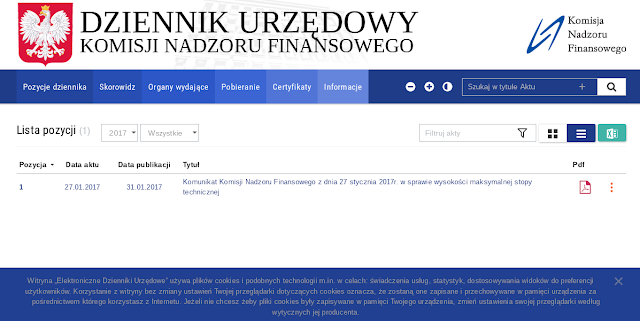 • Investigators in Poland have identified known Lazarus group implants on bank networks and associated this with the recent compromise of the Polish Financial Supervision Authority's website. The technical/forensic evidence to link the Lazarus group actors (who we believe are behind the Bangladesh Bank attack and many others in 2016) to the watering-hole activity is unclear. However, the choice of bank supervisor / state-bank websites would be apt, given their previous targeting of Central Banks for Heists – even when it serves little operational benefit for infiltrating the wider banking sector. Nonetheless, further evidence to connect together the pieces of this attack is needed, as well as insights into the end-goal of the culprits. We are continuing our analysis of new artefacts as they emerge and may issue further updates in due course. We recommend organisations use the indicators provided in Appendix A to update their defensive systems to identify attacks. For compromised legitimate websites we would suggest a minimum 1 month block be placed on the domain. Patches against CVE-2016-0034 should be applied as soon as possible. Sign up to receive our regular Cyber Threat Bulletin. For further information or to talk to an expert, please contact us.